With only ONE week left until the MHA Summer Institute, MHASI instructors are preparing for a large group of new learners! If you’ve ever wanted to learn Mandan, Hidatsa or Arikara now is your chance! Did you know that in addition to offering an Intensive Hidatsa for Beginners course, this year’s MHA Summer Institute will offer an Intensive sahniš for Beginners course, which will be held mornings and afternoons of MHASI week 2 at the Arikara Cultural Center (located at 100 Sahnish Dr. in Roseglen, ND)? The Language Conservancy and the MHA Language Project – Arikara are very excited about a new partnership with the Arikara Cultural Center. Since 2011 the center has been working to honor and preserve the cultural and historical traditions of the Arikara. As an educational institution the cultural center provides a platform for recovering, implementing, and maintaining MHA Nation’s proud history and unique cultural characteristics of Arikara people. The ACC prioritizes cultural outreach (both local and regional), hosts academic symposiums, community-based language workshops and other annual cultural events. Read more about the ACC, its mission and history on the Arikara Cultural Center Facebook page. 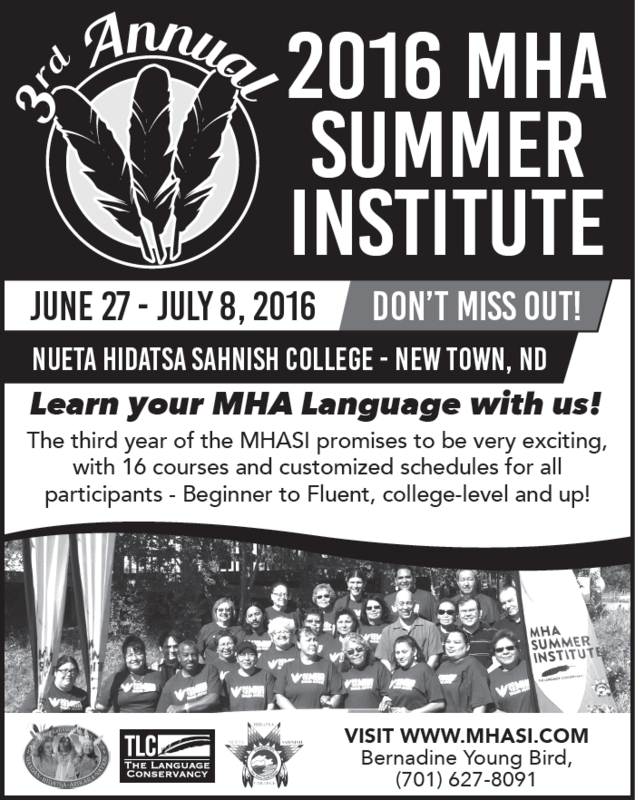 All other MHASI classes will be held at the Nueta Hidatsa Sahnish College in New Town, ND. Check out our schedule below for more information!